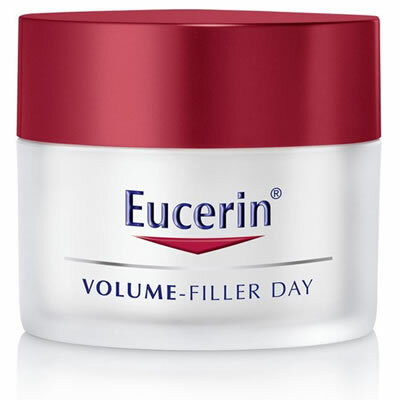 The formula contains, Magnolol shown to increases the size of volume-giving cells*, Oligo Peptides for its support of skin structure*, and Hyaluronic Acid to improve moisture-retention to plump skin and reduce the appearance of wrinkles.Contains SPF 15 with a UVA filter system to help protect against photo-induced ageing. 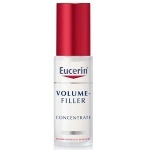 Eucerin Volume-Filler Eye Care is a volumising eye care for all skin types. 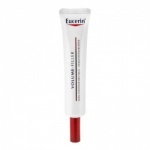 Contains SPF 15 with a UVA filter system for protection in the delicate eye area. Ophthalmologically-tested. Suitable for contact lens wearers. 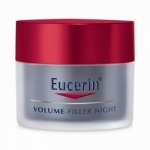 Eucerin Volume-Filler Night Care is a volumising night cream to suit all skin types formulated with Magnolol, Oligo Peptides and Hyaluronic Acid to target the multiple causes of diminishing skin volume.